Press Eye - Belfast - Northern Ireland - 10th June 2018 - With less than a week to go until the Special Olympics Ireland Games in Dublin, a special celebratory event took place at the Ulster Museum in Belfast on Friday (8th June) for the 273 local Team Ulster athletes that will compete at the Games. The special evening of celebration, hosted by BBC sports presenter, Stephen Watson, featured a striking parade of the 273-strong delegation of local Team Ulster athletes. Members of the Law Enforcement Torch Run (LETR) for Special Olympics led the athletes into the atrium of the Ulster Museum with the torch, which will light the official Flame of Hope at the Opening Ceremony of the Games on Thursday 14th June. Special guests, including the newly appointed Lord Mayor of Belfast, Cllr Deirdre Hargey, Ballymena runner, James Hamilton and former British and Irish Lion Trevor Ringland also joined in the celebrations, to wish the team well in their final preparations for the Games. Ahead of the Games a Law Enforcement Torch Run will visit towns and cities across Ireland this week, with local Torch Runs taking place in Stormont Estate before heading on to local schools in East Belfast on Monday 11th June; Portrush on Tuesday 12th June and Newry on Wednesday 13th June. Lord Mayor of Belfast, Cllr Deirdre Hargey takes part in the celebratory event with local athletes Neil Fisher, Kirsty Neill and Christine Evdis. Photo by Kelvin Boyes / Press Eye. Lord Mayor of Belfast, Cllr Deirdre Hargey takes part in the celebratory event with local athletes Neil Fisher, Kirsty Neill and Christine Evdis. Photo by Kelvin Boyes / Press Eye. 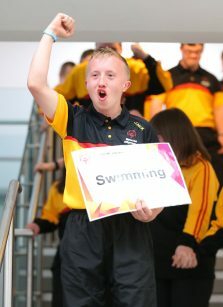 A special celebratory event took place at the Ulster Museum in Belfast on Friday (8th June), as the final countdown to the Special Olympics Ireland Games in Dublin begins. 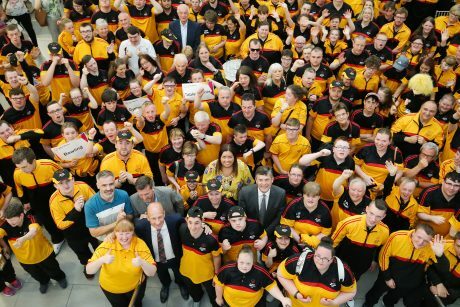 With less than a week to go until the Games, the special evening of celebration, hosted by BBC sports presenter, Stephen Watson, featured a striking parade of the 273-strong delegation of local Team Ulster athletes. Members of the Law Enforcement Torch Run (LETR) for Special Olympics led the athletes into the atrium of the Ulster Museum with the torch, which will light the official Flame of Hope at the Opening Ceremony of the Games on Thursday 14thJune. Special guests, including the newly appointed Lord Mayor of Belfast, Cllr Deirdre Hargey, Ballymena runner, James Hamilton and former British and Irish Lion Trevor Ringland also joined in the celebrations, to wish the team well in their final preparations for the Games. The event also included an informative Q&A with Team Ulster athletes, Joyce Haughian, 35 from Warrenpoint Co. Down, who will compete in Bowling and Conor Morris, 25, from Enniskillen, Co. Fermanagh, who will compete in Kayaking, alongside coach Gwen Doak (Team Ulster swim team). Entertainment was provided by local choir, Equal Notes and local band, Hard Lines. Commenting after the event, Lord Mayor of Belfast Cllr Deirdre Hargey said: “Regardless of what medals may be won at the event itself, the achievements of these athletes is already remarkable. They are proof that no matter what challenges you are faced with, there’s nothing that determination, discipline and teamwork can’t overcome. Ahead of the Games a Law Enforcement Torch Run will visit towns and cities across Ireland this week, with local Torch Runs taking place in Stormont Estate before heading on to local schools in East Belfast on Monday 11th June; Portrush on Tuesday 12th June and Newry on Wednesday 13th June. During the weekend of the Games, various cultural and entertainment items will be organized, giving athletes, families, volunteers and the public an opportunity to experience a true Olympics-style event. The athletes will also be able to avail of a Healthy Athlete Screening Programme and participate in other health related activities throughout the weekend. Shaun Cassidy, regional director, Special Olympics Ulster said: “Special Olympics Ulster provides year-round activities in clubs across the region. 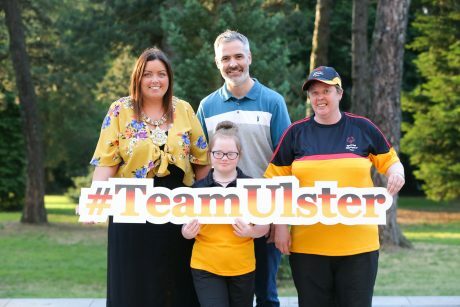 The Special Olympics Ireland Games are set to be one of the biggest sporting events of the year and we are proud to have such a strong delegation representing Team Ulster. Team Ulster athletes will set off for the Games from Central Station next Thursday (14th June). 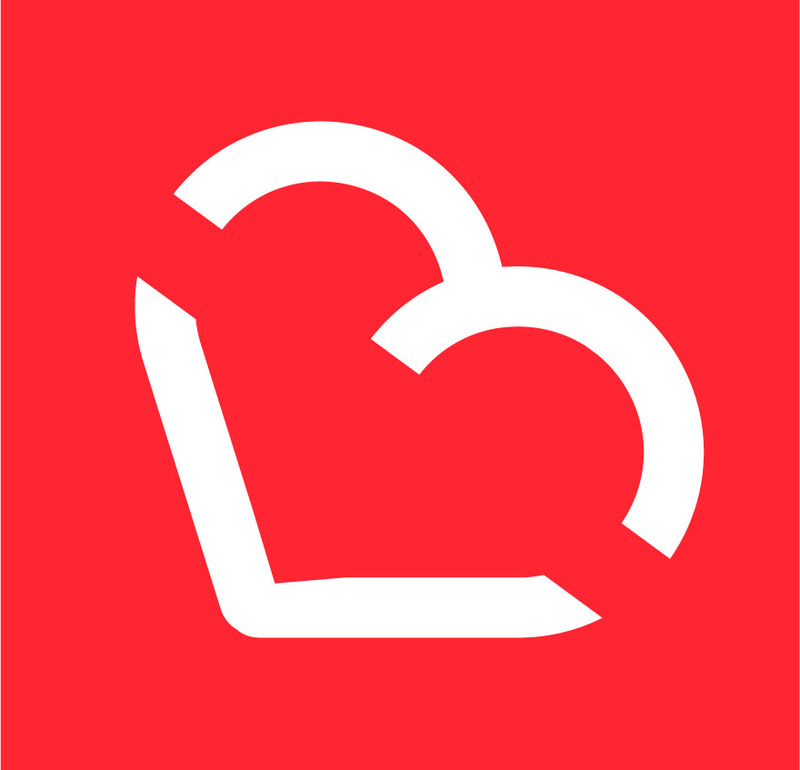 Special Olympics Ireland is a year-round sports training and competition programme for people with an intellectual disability. The benefits of participation in Special Olympics extend beyond the physical benefits of sport; it’s about team spirit, friendships and fun; it’s about a feeling of belonging and a sense of being part of a community. Special Olympics changes lives in so many different ways, enabling people with an intellectual disability to achieve and win not only in sport but in life too. Press Eye – Belfast – Northern Ireland – 10th June 2018 – With less than a week to go until the Special Olympics Ireland Games in Dublin, a special celebratory event took place at the Ulster Museum in Belfast on Friday (8th June) for the 273 local Team Ulster athletes that will compete at the Games. The special evening of celebration, hosted by BBC sports presenter, Stephen Watson, featured a striking parade of the 273-strong delegation of local Team Ulster athletes. 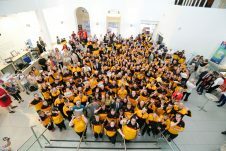 Members of the Law Enforcement Torch Run (LETR) for Special Olympics led the athletes into the atrium of the Ulster Museum with the torch, which will light the official Flame of Hope at the Opening Ceremony of the Games on Thursday 14thJune. Special guests, including the newly appointed Lord Mayor of Belfast, Cllr Deirdre Hargey, Ballymena runner, James Hamilton and former British and Irish Lion Trevor Ringland also joined in the celebrations, to wish the team well in their final preparations for the Games. Ahead of the Games a Law Enforcement Torch Run will visit towns and cities across Ireland this week, with local Torch Runs taking place in Stormont Estate before heading on to local schools in East Belfast on Monday 11th June; Portrush on Tuesday 12th June and Newry on Wednesday 13th June. Photo by Kelvin Boyes / Press Eye. Press Eye – Belfast – Northern Ireland – 10th June 2018 – With less than a week to go until the Special Olympics Ireland Games in Dublin, a special celebratory event took place at the Ulster Museum in Belfast on Friday (8th June) for the 273 local Team Ulster athletes that will compete at the Games. The special evening of celebration, hosted by BBC sports presenter, Stephen Watson, featured a striking parade of the 273-strong delegation of local Team Ulster athletes. Members of the Law Enforcement Torch Run (LETR) for Special Olympics led the athletes into the atrium of the Ulster Museum with the torch, which will light the official Flame of Hope at the Opening Ceremony of the Games on Thursday 14th June. Special guests, including the newly appointed Lord Mayor of Belfast, Cllr Deirdre Hargey, Ballymena runner, James Hamilton and former British and Irish Lion Trevor Ringland also joined in the celebrations, to wish the team well in their final preparations for the Games. Ahead of the Games a Law Enforcement Torch Run will visit towns and cities across Ireland this week, with local Torch Runs taking place in Stormont Estate before heading on to local schools in East Belfast on Monday 11th June; Portrush on Tuesday 12th June and Newry on Wednesday 13th June. Lord Mayor of Belfast, Cllr Deirdre Hargey takes part in the celebratory event. Photo by Kelvin Boyes / Press Eye. Press Eye – Belfast – Northern Ireland – 10th June 2018 – With less than a week to go until the Special Olympics Ireland Games in Dublin, a special celebratory event took place at the Ulster Museum in Belfast on Friday (8th June) for the 273 local Team Ulster athletes that will compete at the Games. The special evening of celebration, hosted by BBC sports presenter, Stephen Watson, featured a striking parade of the 273-strong delegation of local Team Ulster athletes. Members of the Law Enforcement Torch Run (LETR) for Special Olympics led the athletes into the atrium of the Ulster Museum with the torch, which will light the official Flame of Hope at the Opening Ceremony of the Games on Thursday 14th June. Special guests, including the newly appointed Lord Mayor of Belfast, Cllr Deirdre Hargey, Ballymena runner, James Hamilton and former British and Irish Lion Trevor Ringland also joined in the celebrations, to wish the team well in their final preparations for the Games. Ahead of the Games a Law Enforcement Torch Run will visit towns and cities across Ireland this week, with local Torch Runs taking place in Stormont Estate before heading on to local schools in East Belfast on Monday 11th June; Portrush on Tuesday 12th June and Newry on Wednesday 13th June. Athletes take part in the celebratory event. Photo by Kelvin Boyes / Press Eye. Press Eye – Belfast – Northern Ireland – 10th June 2018 – With less than a week to go until the Special Olympics Ireland Games in Dublin, a special celebratory event took place at the Ulster Museum in Belfast on Friday (8th June) for the 273 local Team Ulster athletes that will compete at the Games. The special evening of celebration, hosted by BBC sports presenter, Stephen Watson, featured a striking parade of the 273-strong delegation of local Team Ulster athletes. Members of the Law Enforcement Torch Run (LETR) for Special Olympics led the athletes into the atrium of the Ulster Museum with the torch, which will light the official Flame of Hope at the Opening Ceremony of the Games on Thursday 14th June. Special guests, including the newly appointed Lord Mayor of Belfast, Cllr Deirdre Hargey, Ballymena runner, James Hamilton and former British and Irish Lion Trevor Ringland also joined in the celebrations, to wish the team well in their final preparations for the Games. Ahead of the Games a Law Enforcement Torch Run will visit towns and cities across Ireland this week, with local Torch Runs taking place in Stormont Estate before heading on to local schools in East Belfast on Monday 11th June; Portrush on Tuesday 12th June and Newry on Wednesday 13th June. Lord Mayor of Belfast, Cllr Deirdre Hargey takes part in the celebratory event with local athletes. Photo by Kelvin Boyes / Press Eye. Press Eye – Belfast – Northern Ireland – 10th June 2018 – With less than a week to go until the Special Olympics Ireland Games in Dublin, a special celebratory event took place at the Ulster Museum in Belfast on Friday (8th June) for the 273 local Team Ulster athletes that will compete at the Games. The special evening of celebration, hosted by BBC sports presenter, Stephen Watson, featured a striking parade of the 273-strong delegation of local Team Ulster athletes. Members of the Law Enforcement Torch Run (LETR) for Special Olympics led the athletes into the atrium of the Ulster Museum with the torch, which will light the official Flame of Hope at the Opening Ceremony of the Games on Thursday 14th June. Special guests, including the newly appointed Lord Mayor of Belfast, Cllr Deirdre Hargey, Ballymena runner, James Hamilton and former British and Irish Lion Trevor Ringland also joined in the celebrations, to wish the team well in their final preparations for the Games. Ahead of the Games a Law Enforcement Torch Run will visit towns and cities across Ireland this week, with local Torch Runs taking place in Stormont Estate before heading on to local schools in East Belfast on Monday 11th June; Portrush on Tuesday 12th June and Newry on Wednesday 13th June. Lord Mayor of Belfast, Cllr Deirdre Hargey takes part in the celebratory event with Shaun Cassidy, Regional Director, Special Olympics Ulster and local athletes Jacqueline Stewart and Leah Megan. Photo by Kelvin Boyes / Press Eye.